It’s not everyday you meet a technology marketer who helped Steve Jobs introduce Apple’s original Macintosh. Fast forward 30 years, this person has helped create new categories, unveil new brands, and launch hundreds of products. That technology marketer is Andy Cunningham, and I recently had the privilege of meeting her in person. 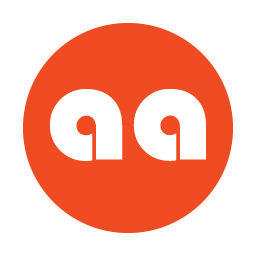 On the heels of her new book, Get to Aha!, Andy paid a visit to Traackr’s headquarters in San Francisco to discuss the winning framework she uses to transform markets and industries. Eagerly anticipating our conversation, I had prepared some questions to learn from her experience. At Traackr, we’re working with enterprises who are struggling with the tension between wanting to own their brand and the impact that social media has on brand perception. How do companies still fully control their brand vision amongst the noise around social media and the plummeting lack of consumer trust in brand marketing? Read on for my Q&A with Andy Cunningham, as we dive deep into this topic and its relevance for influencer marketing. KC: With our current world of influencers and opinion makers, who either agree or disagree with you, how do you address this in the positioning process to still fully define your brand vision? AC: I fully believe that you can still control your brand. I think brands have even more control today than ever before. We have so many channels that we own today that we didn’t have before. The internet has brought forth so much dialogue but also has given us SnapChat, Instagram, Facebook, LinkedIn, our own websites; it goes on and on. We have control over what we put out on those channels. We don’t have control over what people respond back to us; but we can control what we put out there. If you work really hard after you do your positioning and you create a really compelling narrative, and you work relentlessly hard on getting that narrative into your own channels, not just once or twice, but hundreds and hundreds of times, and with it use viral phrases that you develop in your positioning exercise, you’ll find that they stick and they start growing and then they come back at you through the dialogue. KC: As a company, once you establish positioning and messaging, in the case of Uber, where there’s a very strong leader who created an image of that company, is there hope in terms of changing the narrative? AC: Changing a company narrative requires a very strong leader, not just somebody that can manage a business. I’ve seen leaders fail and I’ve seen leaders succeed at this. IBM has gone through this a few times in its history. It can be done; look at Microsoft, Satya Nadella is doing an amazing job. For Uber, Travis was a good leader because lots of people and investors followed him. In order to change things, they’ll need a new narrative, infectious messaging, and the leadership to relentlessly put it out through all of their channels. That is the challenge before Uber today. KC: In terms of defining your positioning and getting your brand out there, what do you see as the role of influencer marketing and how has that role changed over the past 10 years? AC: Influencer marketing is really about you, the company, influencing the influencer. Not about the influencer influencing your audience. If you think about it as a double influence thing, we have to influence the influencer so they can influence the marketplace. If you think about them like journalists, we have been influencing them all along so that they can influence their audience. I think the secret to influencer marketing is getting your hands on Traackr for starters! KC: Is there a way that using influence and influencers could steer your brand towards the wrong messaging? AC: If you see your role, as a company, to influence influencers, then you’ll stay in control. Let’s say you’re flying an airplane and you need command and control of the situation. If you let any part of that environment control you, then the minute you stop flying the airplane you are dead. The same is true with this situation. The minute you stop taking your brand where you want to go, you lose it. You can’t take everybody’s advice because then you become “all things to all people”, which is not much of anything. One thing you can do is identify a batch of influencers for your company by creating a Product Advisory Council. They feel good about you because you are asking for their advice, but because they are “advisors” they now have some skin in the game and will act as emissaries for your brand. You don’t necessarily have to take their advice about product changes, although they may have some important things to say. But by asking their advice and listening intently, you can win friends and influence people. KC: In your book you spoke about being authentic. What do you see as key to being authentic? How do people believe that that’s who you are? AC: We have this internal radar for authenticity. When you sit down with a person and have a conversation, you can tell if they are authentic or not. It doesn't mean goodness or badness, it means who you are. Humans have radar for that. When you go out to the marketplace and say something that you’re not, it’s easily found out. In the Harvey Weinstein situation, his authentic self finally came to the forefront. As a company, you have to know who you are. As a human being you want to know what you’re good at and what you’re not good at. Athletes are amazingly good at leveraging their DNA. They work very hard with trainers their whole lives to leverage that DNA and magnify it. People who aren’t authentic just don’t garner respect in the world. KC: What inspired you to write the book? AC: Reflecting on the process of managing PR and strategy for hundreds of brands, I had one client who kept asking “How?” What’s the process? How does your competition talk about you? What’s happening in the world that may or may not be relevant? I shared this process with the client in order to help him understand it, and realized an opportunity to go one step further. KC: If there were a lost chapter in your book, what would it be? AC: If there was a lost chapter, it would have to do with engineering. Engineering and marketing working together. Engineers love to solve problems, so what is the value for people in marketing to be able to forge a relationship with engineers? It was like an appendix that stuck out of the original draft because it was the only chapter focused on product-oriented companies, or what I call Mechanics. Consequently, my editor suggested we remove it. It would make a great essay, though. KC: How worried should you be about your competition? AC: I think you should obsess over competition if it’s a company that has similar DNA to yours (e.g. companies that are concept-oriented, product-oriented, or customer-oriented). 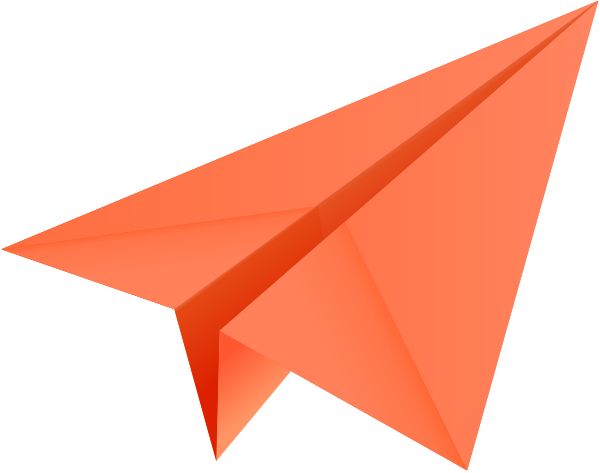 As a customer-oriented company, you [Traackr] have a leg up as a differentiator working in your favor. You don’t necessarily have to keep your eye over your shoulder. If another company comes up that does what you do - and they have a laser focus on the customer - then you have to keep an eye on them. What Satya Nadella is doing at Microsoft, he is pulling off an amazing feat. As a product centric company, he’s taking the product and leveraging Microsoft’s DNA…he’s not saying “ok we are becoming a customer centric company” …he’s sticking with it and making it better and better and better. 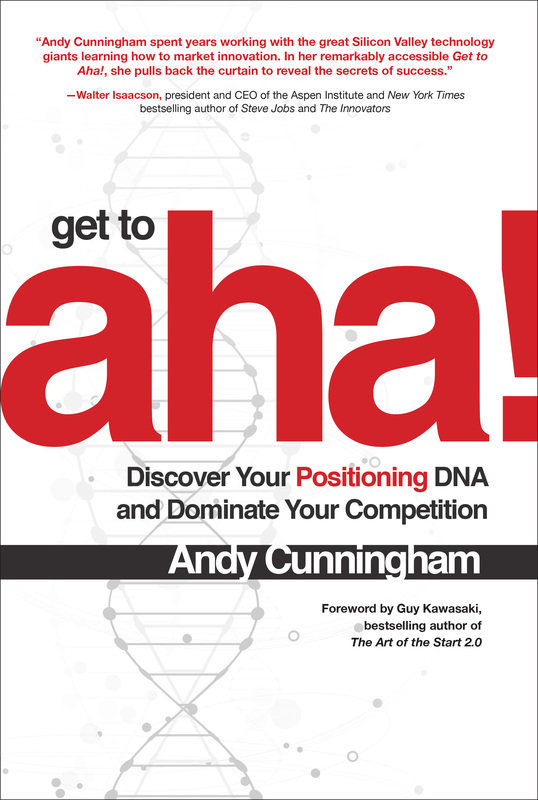 I’d like to sincerely thank Andy Cunningham for her time, and encourage you to read her new book, Get to Aha! By reading it, it’s helped affirm what we’re doing internally to manage our brand and narrative, and in turn influence those that influence our marketplace. I’d like to know, if you could sit down with Andy Cunningham, what would you ask her? Leave a question in the comments.